These robots don't want to fight. That's why you have to pick the winners. Here's part two of the first round of our grand tournament, featuring robots from the movies and TV. Voting is now closed for this round. See the results of these battles here and vote on the Sweet Sixteen matchups here. These robots don't want to fight. That's why you have to pick the winners. Here's part two of the first round of our grand tournament, featuring robots from the movies and TV. All you have to do is vote for the winners. Voting is open from now until next Monday, September 10. Check back then for the results of this round, exciting second-round matchups, and a couple of surprises. The only robot in this year's competition that is (allegedly) the subject of a Radiohead song, Marvin's vast intellect is both his strength and his vulnerability. He may be too mired in depression and bored with this trivial tournament to even put up a good non-fight, or he may completely destroy the competition by employing his 5.5 million IQ. Either way, the championship is there for big number 42's taking if he wants it badly enough. 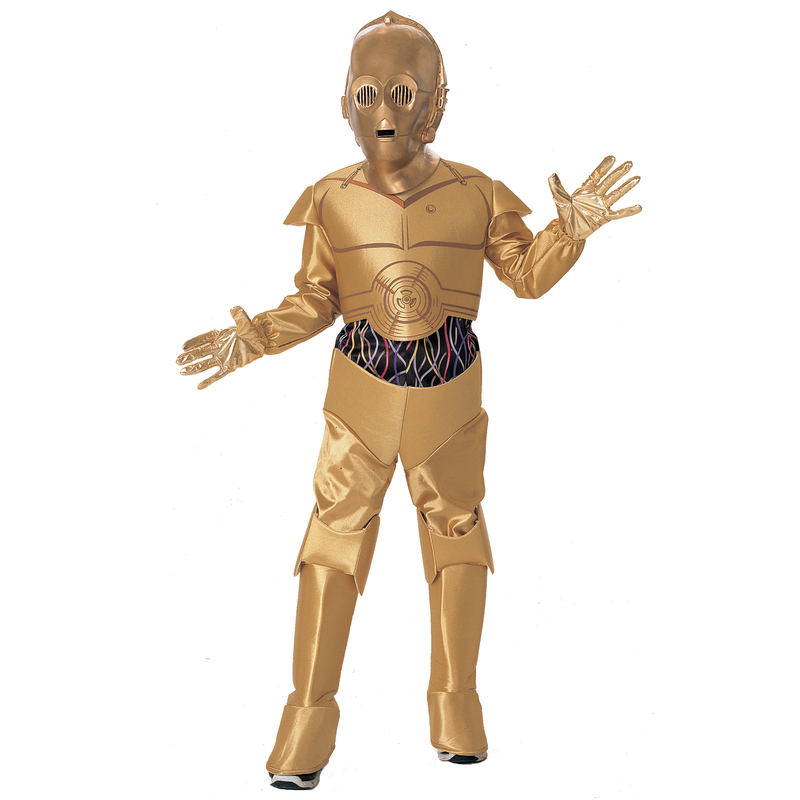 Voiced annoyingly by Joan Rivers, this Spaceballs bot may meet its inspiration, C-3PO, in the second round. It'll be tough for either of them to get there, though. As much of a cult classic as Mel Brooks' Star Wars parody is, we're betting that there are a lot more blue-blooded Hitchhiker's Guide to the Galaxy aficionados in the Crave audience. We might be wrong. (1) Marvin the Paranoid Android vs. (8) Dot Matrix: Who wins? Making his debut in the 1956 film The Forbidden Planet, the semi-ubiquitous Robby the Robot also did some guest spots on TV's "Mork and Mindy," "Lost in Space," and even "The Simpsons." In addition to simply being a classic, Robby made the tournament due to his inner conflict about killing a human in The Forbidden Planet. The hardest-working robot in show biz is a hall-of-famer, too; Robby made the Robot Hall of Fame in 2004. Decisions, decisions...Would you cast a vote for C-3PO just because you love Star Wars? Or does this droid's incessant nattering and worrying grate on your last nerve? Threepio's fate could go either way in this competition, which makes this first-round battle one of the more intriguing in the tourney. Two things I will say for C-3PO: no one would understand most of the stuff R2-D2 said without his reactionary dialogue, and his Halloween costume is best accompanied by creative use of jazz hands. (3) Robby the Robot vs. (6) C-3PO: Who wins? He may smell like Haley Joel Osment's armpit, but the animatronic teddy bear from Steven Spielberg's A.I. steals scenes and hearts like it's nobody's business. Stanley Kubrick worked on A.I. for years before handing the project off to Spielberg before his death. Part of Kubrick's vision for the film was that the robots in the film would be played by actual robots, but the real world never quite caught up to his vision. As this video shows, Teddy came closest to that reality. (4) Teddy vs. (5) Johnny Five: Who wins? Whereas most movie robots can just crush anyone mercilessly with a combination of brute force and laser beams, D.A.R.Y.L. takes a more down-to-earth approach. He will obliterate your high score in Pole Position, make any Little League pitcher's ERA balloon to double digits, and ruin the grading curve on tests. There may be a deeper story brewing here, too; Barret Oliver, who played the boy robot in the 1985 film, also did a couple of guest spots on "Knight Rider" in the '80s. D.A.R.Y.L. may run into KITT in the later rounds. OK, OK, so he's not really a robot. But when Woody Allen disguises himself as a robot butler in this 1973 film, some of the best robot hijinks in film history ensue: crappy foot-shuffling, semi-robotic hand gestures, and people passing around a silver orb that produces orgasms. I couldn't find any of the relevant Sleeper clips on YouTube, but this guy does a pretty good impersonation of the walking schtick. (2) D.A.R.Y.L. vs. (7) Woody Allen: Who wins? Hey, remember Small Wonder? Who could forget this visionary, superbly acted sitcom, which delved into the subtle intricacies of in-home robotics by personifying them in the form of the archetypical Vicki. Despite her brute strength and endless sass, if Vicki had any violent instincts, the Lawsons' neighbor Harriet (and all the show's writers) would have been toast by episode three. Vicki's greatest contribution to the world, however, is inspiring this in-depth written analysis of the plausibility of her various powers. (1) Twiki vs. (8) Vicki: Who wins? Technically, KITT is more of a souped-up car than a robot, but anything that carries around The Hoff is automatically granted robot status. Plus, KITT could smell, see, hear, use x-ray vision, talk, take your blood pressure, perform drug tests, and kick it with The Hoff. Yes, KITT had flame throwers and lasers, but those needed to be manually operated by The Hoff. Anyone who still disagrees that KITT should be in this tournament should talk to The Hoff. (3) KITT vs. (6) Data: Who wins? It's a dog-eat-dog world, even when it comes to nonviolent robot battles. Muffit II, the Daggit from Battlestar Galactica, has the upper seed on his first-round robotic canine opponent for one simple fact: he's also half robotic bear. Also helping Muffit's cause is the fact that there was a trained chimp inside his costume. For some reason, Daggit didn't make it to the fancy new Battlestar Galactica series, probably due to widespread robo-rabies concerns. (4) Muffit II vs. (5) K-9: Who wins? With Bender and KITT in the same bracket, the TV Division has the two most potentially violent nonviolent robots in the competition. Bender's personality is a volatile cocktail that could blow a fuse at any second: he drinks with the best of them, has a smart mouth, and enjoys bending things. The Futurama star may also have the biggest fan base in the tourney, but his cult following is fiercely rivalled by his first-round opponent: the smarmy bots from MST 3K. Ah yes, this MST 3K play-in game may cause the geekiest of geeks' heads to spontaneously combust. Oh, the horror of deciding between bowling-pin-headed Crow's Monty Python references and gumball-machine-headed Servo's Lord of the Rings references. Only one can advance. Just to pack some more cult-status hair-pulling into your decision, Tom Servo made a brief cameo in an episode of Homestar Runner, while both appear in an episode of Futurama...an episode, coincidentally, about a robot battle. (2) Bender vs. (7) Crow T. Robot vs. (7) Tom Servo: Who wins?